Do you have chemical and liquid loads to be transported? JGT has tank containers. Tank containers are generally used for the transport of dangerous substances. 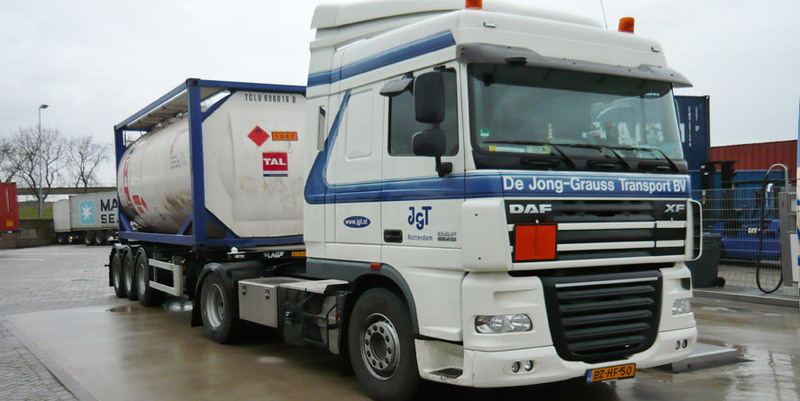 JGT can safely transport your tank containers with liquids, gasses and powders, in accordance with regulations and with ADR certified equipment. The lightweight container chassis (approx 3,900 kg) or our haulers with compressors ensure that the transport of your tank containers is carried out according to your wishes.